SANTA CLARITA, Calif. -- Any fan of the "Back to the Future" movies knows you need two things in order to time travel: a flux capacitor and a DeLorean going 88 mph. 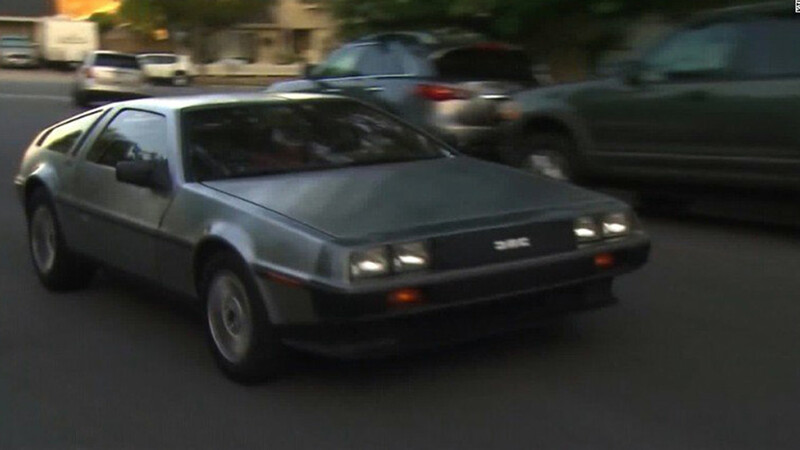 Spencer White didn't have a flux capacitor handy, but his DeLorean sports car was zipping down a California highway at a pretty good clip when he got a speeding ticket -- for going 88 mph. White is a "Back to the Future" enthusiast (that's why he has the DeLorean, duh). He said he and his mom were going about 85 mph Friday on Highway 14 north of Los Angeles when she had an idea. "My mom, she's looking at me and she just says, 'Take it up to 88, let's do it," White told CNN affiliate KTLA. "I was at 88 for about two seconds ... and, immediately I saw a police officer behind me." Apparently two seconds at 88 mph isn't long enough to disappear in a trail of fire. It is long enough, however, to get a ticket for almost $400 from an officer. Ouch. But White, of Santa Clarita, California, didn't seem to mind. He was excited about driving the car that fast, and even the officer who stopped him couldn't help but smile. He even let White take a picture of the speed displayed on the radar gun. Another reason why White couldn't break the space-time continuum? He says he was out of plutonium, which, according to the movies is what the flux capacitor runs on. For those who need a primer: "Back to the Future" is the classic comedy from 1985 starring Michael J. Fox as teen Marty McFly and Christopher Lloyd as an eccentric scientist who soups up a DeLorean and enables it to travel through time when it reaches 88 mph. The movie spawned two sequels. DeLoreans were only mass-produced for a few years in the early 1980s before the car company folded.